Learn about the future of transportation and current practical applications at the Innovations in Transportation Conference in Ames Iowa. 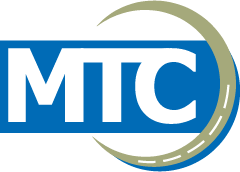 The day-and-a-half meeting, hosted by the Iowa Department of Transportation and Iowa State University’s Institute for Transportation, is designed for transportation professionals at local and state agencies, academia, and business and industry. It is held in even-numbered years. This event calls transportation professionals from local and state agencies, academia, and business and industry to learn about the future of transportation and current practical applications. Speakers from around the nation are there to engage participants in contemporary topics such as mobility and accessibility, connected and autonomous vehicles, organizational change, and data analytics.